Last month, the EPA issued a rule titled, “Determination Regarding Good Neighbor Obligations for the 2008 Ozone National Ambient Air Quality Standard (NAAQS),” (83 Fed. Reg. 65,878) effectively reversing the Cross-State Air Pollution Rule (CSAPR) made during the Obama Administration. At the time, CSAPR found the standards in place for limited smog-forming ozone were lacking. The “good neighbor” provision of the Clean Air Act requires the EPA to police air pollution in certain states to ensure it does not travel downwind and affect air quality in other states. The Obama-era determination found that the existing standards for the “good neighbor” provision were insufficient to protect air quality. The new determination found that the downwind states are “not expected to contribute significantly to nonattainment in, or interfere with maintenance of, any other state with regard to the 2008 Ozone NAAQS.” Further, the new determination under the Trump Administration states that 2023 “is an appropriate future analytic year to evaluate remaining good neighbor obligations.” The final rule becomes effective on February 19, 2019. 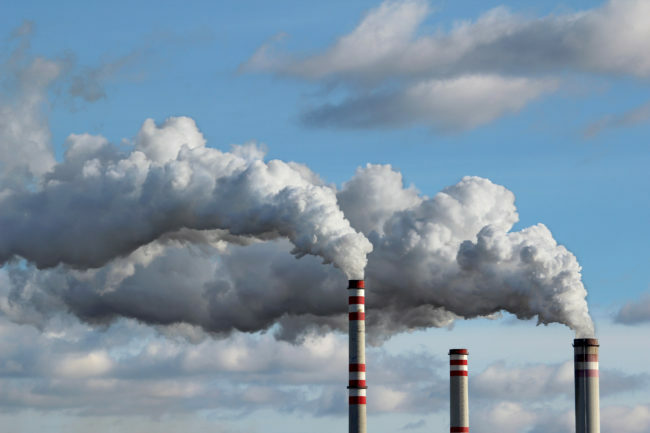 The coalition of states now argues that the reversal undercuts the Clean Air Act. Specifically, they allege that the final action is “unlawful, arbitrary and capricious and therefore must be vacated.” The states argue that lack of sufficient regulations on upwind states reduces to efficacy of stringent standards states maintain within their own borders. New York, for example, has taken drastic measures over the last 11 years to reduce its own smog-forming pollutant emissions. The Petition for Review was filed in the United States Court of Appeals for the District of Columbia Circuit. If successful, the EPA will have to reexamine its rule and potentially impose stricter air quality controls on upwind states under CSAPR. We’ll keep you updated on any significant progress in the lawsuit.